Home / Lys Majesty Collection 2019 / Peace N Love ( Caméléon ) Jeans, Limited Product ! Pants Jeans Peace N Love, suit to work to be elegant, during outings between friends, as well as for a gallant rendez-vous, exhibitions, romantic evening …. Please, specify your height, when ordering! Jeans pants normal-sized. 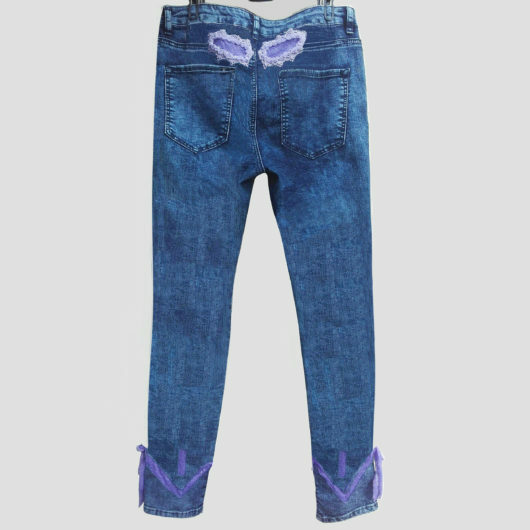 This blue jeans, called Caméléon is transformable in different ways. 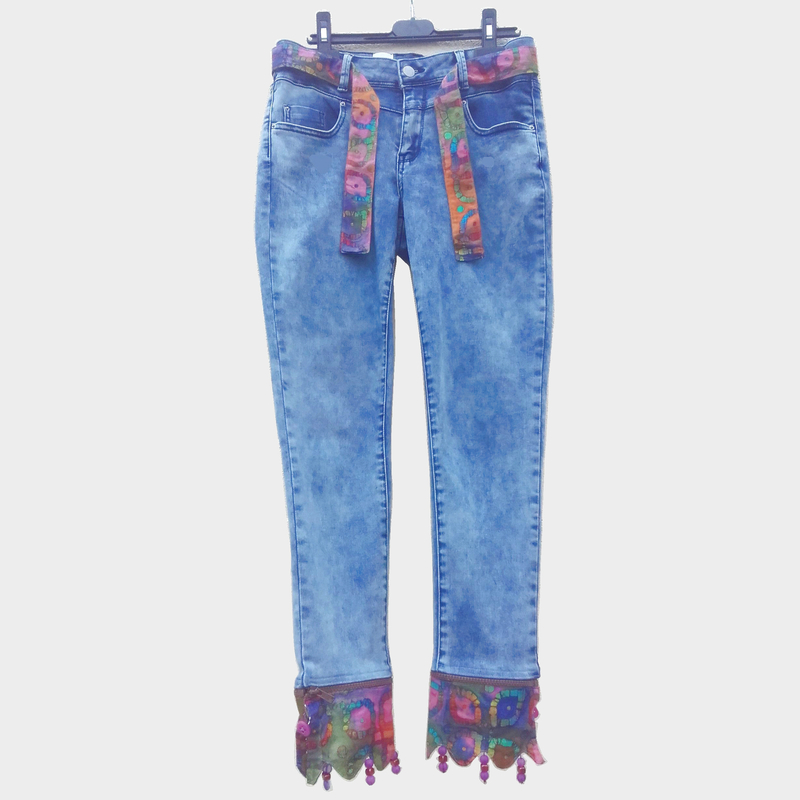 The Peace N Love Caméléon Jeans Trousers are made of a brightly colored fabric belt that is pleasant to tie in front of. 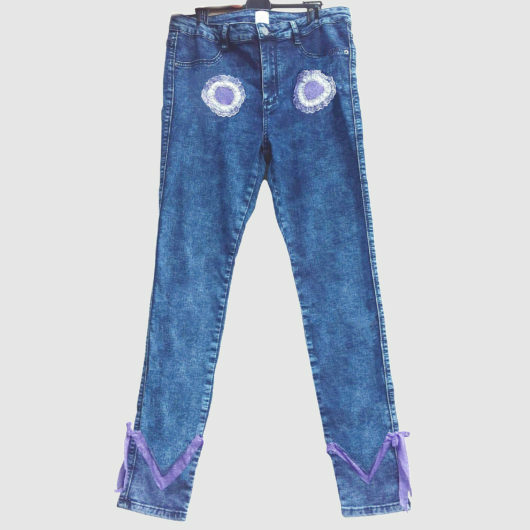 This fabric that is in the bottom of the Jeans trousers and finished by wave-shaped undulations with between each of them small columns of 3 beads including 2 purple at each end and a light brown in the middle. On each outer side of the bottom of the pants on the fabric, a pink button. The trousers and the fabric are connected together with a zipper. Can sell as it appears here, or with 2 other styles, which makes 3 different aspects including the Calamity Jane appearance ( Caméléon ).